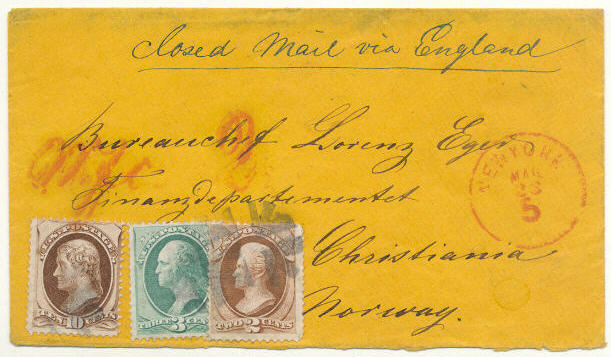 * Michel 37, 38 and 41 - single copies of 2 cents Jackson, 3 cents Washington and 10 cents Jefferson = 15 cents on a beautiful single weight cover side marked red "New York MAR 23" (1873) sent via Aachen and Hanburg to Christiania. In Aachen cancelled red "W.fc. 2"